Youngstar Stud is one of the most exciting Stock Horse and Quarter Horse studs in Australia. It is the home of Marnies Destiny and Soda Bradman, two of the greatest stallions in the country, and home to some exceptional mares to match. We are also pleased to announce our new young gun sire Youngstar Marnies Duke. 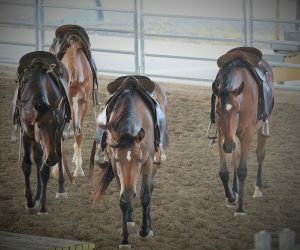 We breed safe, smart and stylish horses that will work on weekdays and win all weekend - that is what we offer. Youngstar Stud is a family owned and operated horse breeding and training business. 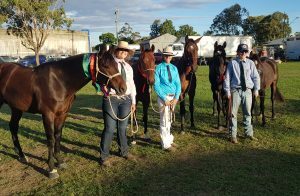 Rick and his three boys thoroughly enjoy rural life and have a vision to own and promote some of the best horses in Australia. Our aim is to ensure that our horses are adaptable and will perform at the highest levels of all horse sports. They are suitable for all purposes from general riding to elite competition. The family also has other rural ventures in progress and approach these with the same honest and enthusiastic attitude. Rick and the boys invite you to browse all sections of our website and enjoy our visions as much as we do. 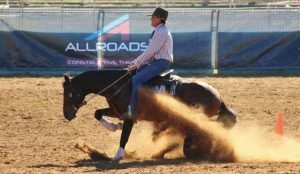 Australia's most awarded campdrafting stallion. Now one of the greatest horses in campdrafting history. His results have re-written the record books. 2017 AQHA Hall of Fame Inductee. First campdraft horse in history to be inducted. 2016 & 2012 ACA Open Horse of the Year. 2016 & 2012 ASH Campdraft Horse of the Year. 2016 Warwick - highest aggregate - Placed in all four drafts. 2015 Paradise Lagoons - highest aggregate. Over 185 wins or places. Introducing our next generation sire - the very best combination of Australian Stock Horse and Quarter Horse bloodlines. 2016 Cloncurry Stockman's Challenge - Placed. 2015 Cloncurry Stockman's Challenge - Placed as a 3-year old. Placed in challenges as a 3 and 4-year old . He is a full brother to Youngstar Marnies Glamour - Winner of 2016 Cloncurry Stockman's Open Challenge and many drafts. Our next generation stallion – Youngstar Marnies Duke.